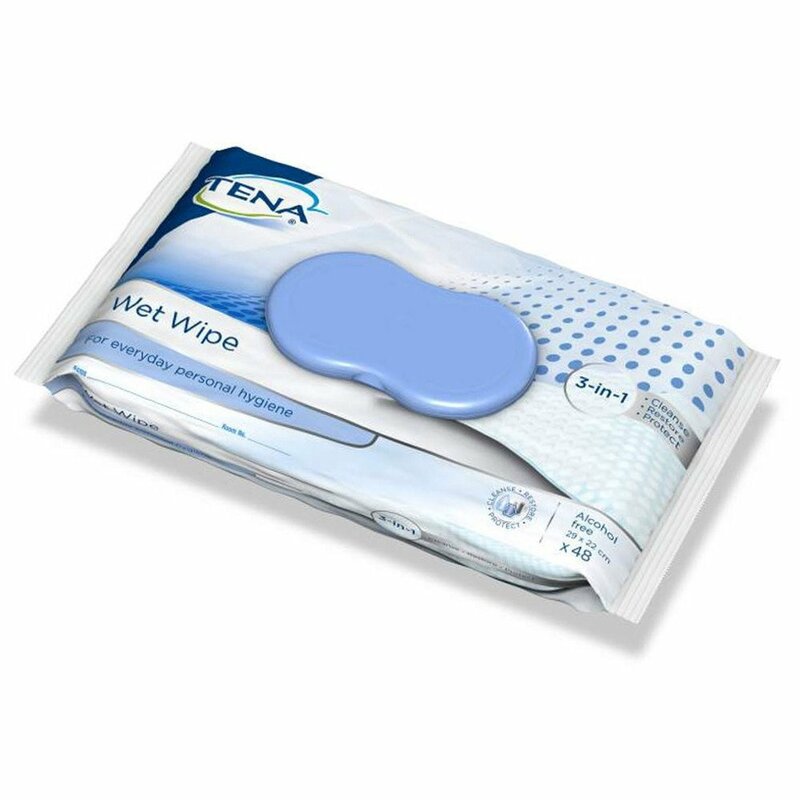 TENA Wet Wipe is a pre-moistened, alcohol-free, lightly scented and pH-balanced skincare wipe. Pre-moistened with a 3-in-1 formula of surfactant free emulsions to cleanse, restore and protect the skin with just a single wipe. The wipes are soft, large and strong and can also be used for whole body cleansing. The ‘clean touch’ system ensures easier and safer handling and requires only one hand to open the lid. Suitable for frequent use, especially in continence care.